Kebab N Kurry has been rated as one of the Dallas-Fort Worth area’s favorite Indian Restaurants. 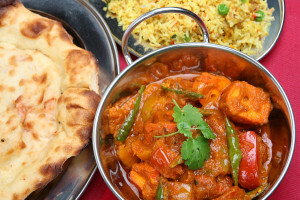 Carefully chosen spices and herbs come together in numerous traditional Indian delicacies. You’ll find both vegetarian and non-vegetarian dishes. One look at the menu, and you will appreciate the versatility of traditions that are certain to stir up your taste buds. The curries are prepared with the freshest and finest condiments. Breads are cooked in Tandoor ovens made of clay. Meats are marinated overnight in the Chef’s choicest spices and cooked in Tandoor over charcoal fire to serve you the best Kebabs in town. All of the menu items are prepared fresh to suit your choice and preference of spice level – mild, medium or hot. A lunch buffet and dinner are served seven days a week. +1 (972) 231-5556 | 401 North Central Expressway, #300 Richardson, TX 75080 ©2019 All rights reserved with Kebab N Kurry.